The public bathroom has been the most virulently defended gender-segregated space in American public life. Six years ago when I first posed this question to students, many of them were offended that I dared compared the horrors of anti-black racial segregation to what they believed to be the natural and necessary segregation of male bodies from female bodies in bathrooms. 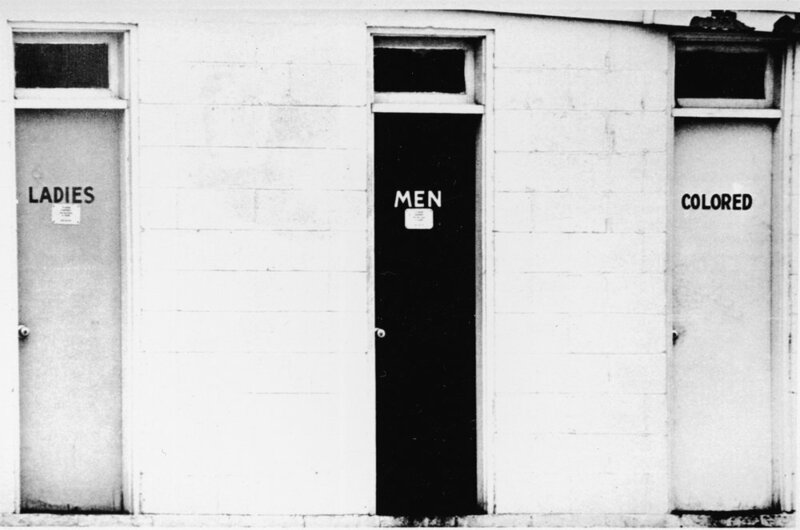 We spent so much time wrangling with the idea that gender could be as socially constructed as race that we rarely got to discussing how gender ideals were used to reinforced racism and racial segregation—namely, that the segregation of whites from blacks in public restrooms was very much about protecting white femininity from the perceived impurities of blackness, which were in turn understood to be inherently masculine. Now when I pose this question, most students have already accepted the notion of gender as a social construct prior to having entered my class and, for the most part, we move right into a lively and spirited discussion of how space is often deployed to enforce social disparities. An essay I wrote on the gendered (and racialized) public bathroom as an exclusionary spatial practice has been published in The Arsenal of Exclusion & Inclusion, a collection exploring a range of strategic and tactical spatial maneuvers that have been used to both oppress and liberate. The essay is very short but the topic is one the recurs frequently throughout my work, especially my teaching. I hope to expand on it someday.